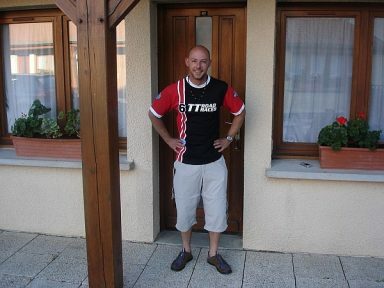 This trip has been months in the making, our first overseas biking trip. 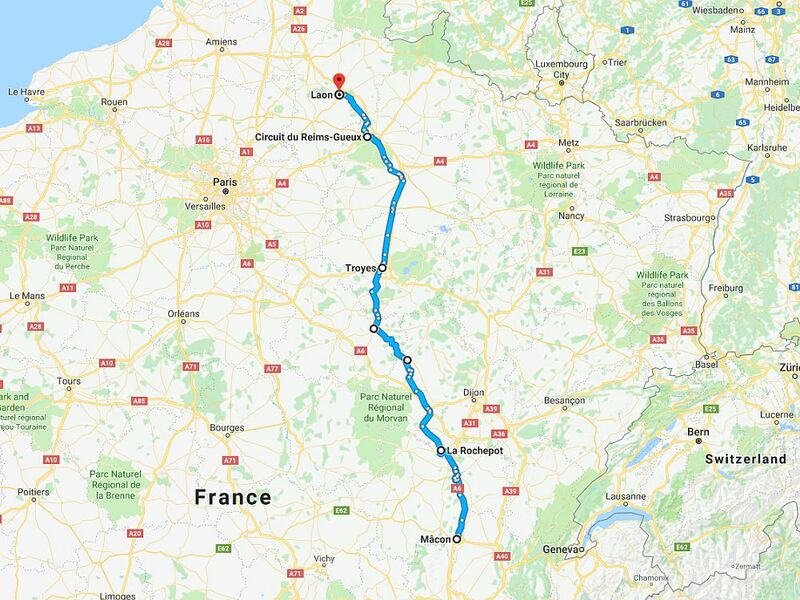 A 9 day motorcycle trip over to France to ride Alpine passes. Phil organised it, planned all the rides out, and the rest of us – Chris, Gaz, Taj and Kyle are just along for the ride, so to speak. Being a little older and wiser Phil’s plan included him driving to Chamonix in advance with his car loaded up with everyone’s luggage and his bike on a trailer. You can drive directly from Bewdley to Chamonix in a day but the motorway isn’t much fun and it’s far more relaxing to do it over a couple of days. 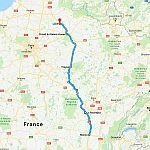 Phil wasn’t in a rush and had decided to go for the relaxing option leaving on the Thursday morning with an overnight stop at Chateau de Barive, a lovely hotel just outside Laon and pretty close to the midway point to Chamonix. After a pleasant but ultimately long uneventful drive down to Chamonix Phil finally arrived at Chalet Le Bois Rond early on Friday afternoon. 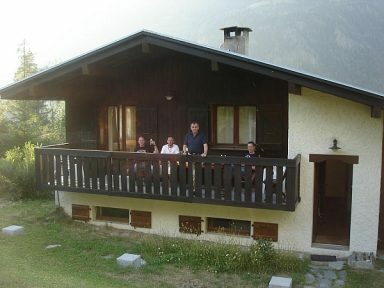 The chalet – that was to be our base for the next week, is owned by Kyle’s brother-in-law Mark. He had intended joining us on this tour, on his Pan European, but a new job put paid to that and sadly he couldn’t make the trip. Phil set about unloading all the luggage and then stocking up the fridge with beer, wine and the other essentials of life. Next he got his bike off the trailer ready for the ride up to Heudicourt-sous-les-Cotes the following morning. At this point, having seen some of the roads he’d be riding on over the next week, he couldn’t resist the temptation to go for a sneaky ride before everyone else arrived, so set out on a reconnaissance mission. Saturday was the day that everyone was to meet up at the hotel we’d booked in Heudicourt-sous-les-Cotes, south of Verdun. 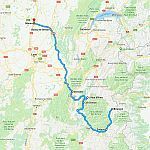 Phil was up and about early this morning and after breakfast, and a quick check of his map – Phil likes maps – he set off on his ride north back up through France. 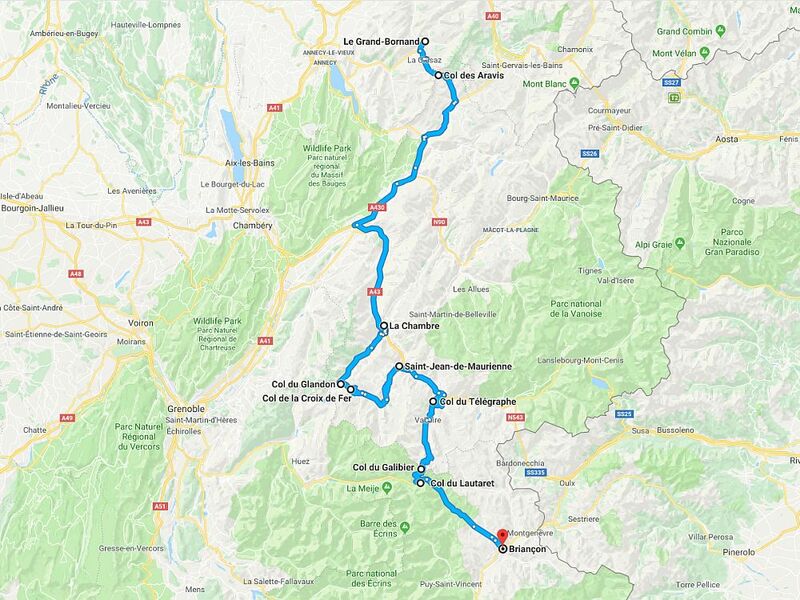 The idea today was he’d try out the route that had been provisionally mapped out for the ride down to Chamonix on Sunday, when everyone would finally arrive at the chalet. Riding back up the valley towards Argentiere Phil headed to Martigny. 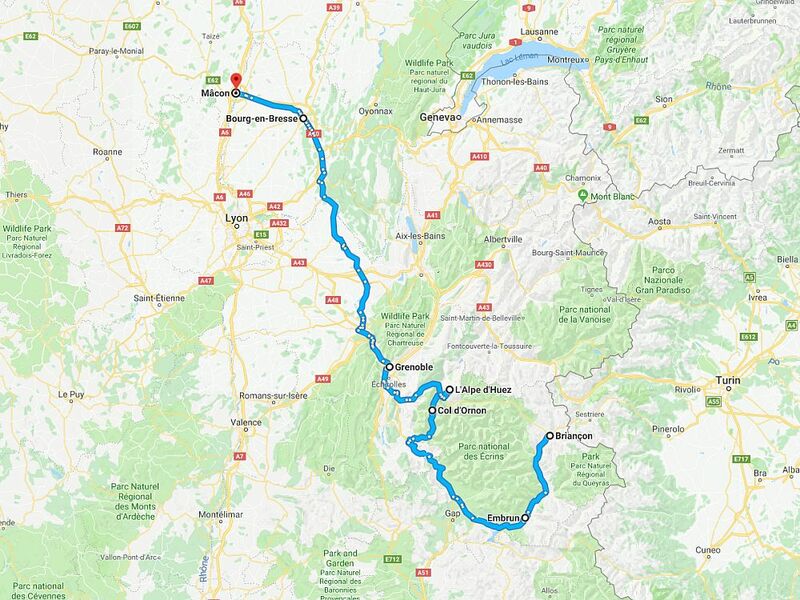 From there he picked up the autoroute for a few miles before exiting at Aigle for a ride up Route 11 past Leysin and over the Col des Mosses towards Chateau d’Oex, and then on past Gruyeres – home of the cheese – Bulle and then the back road to Fribourg through Corbieres, La Roche and Villarsel to Fribourg. The first part of this section up to Bulle was very good. The roads were technically demanding in places, with a number of tight downhill hairpins, but the scenery in this area was beautiful to look at. 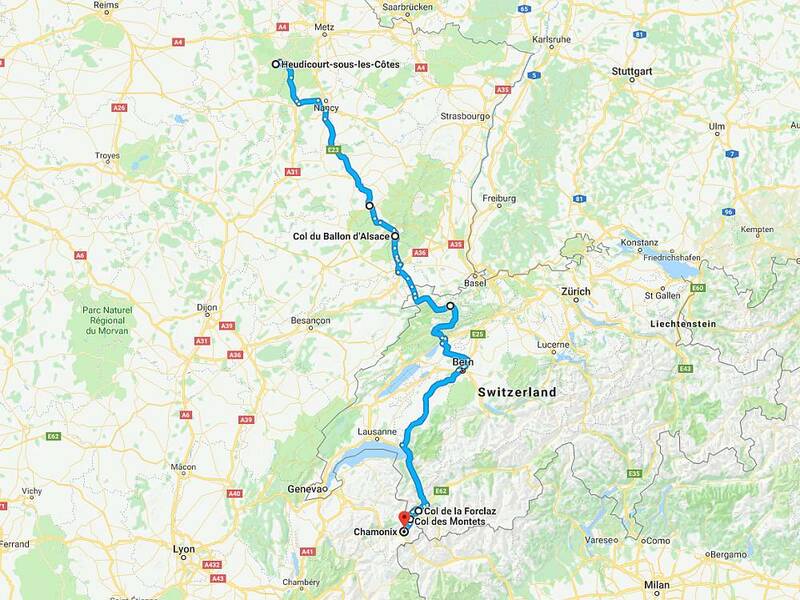 From Fribourg Phil headed up through Murten, Kerzers and Aarberg to Biel. The roads whilst pleasant enough were interrupted by too many villages to get any decent pace on. Grinding through Biel, thankfully aided by his trusty sat nav, he turned north onto the E27/A16 to Tavannes where he turned left onto the road through the Gorges de Pichoux – through Chatelat to Bassecourt. This road was delightful – stunning scenery combined with technically difficult roads. 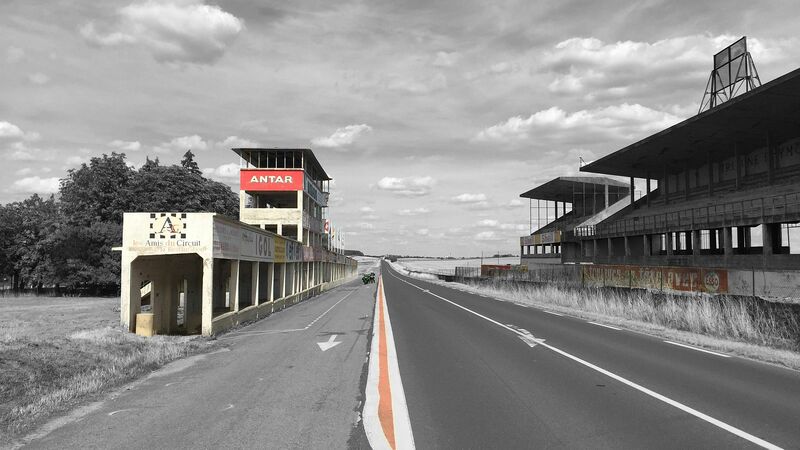 From Bassecourt he bypassed Delemont and headed up the D432/D41 to Ferrette. A very good road full of long sweepers. 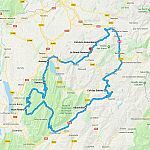 From Ferrette he headed up through Altkirch to Cernay with the intention of switching onto the D431/D430 over the Col du Silberloch and Col du Herrenberg to Gerardmer. However the road from Ferrette onwards was slow because of a succession of small villages along the road, all with a 50 km/h limit. 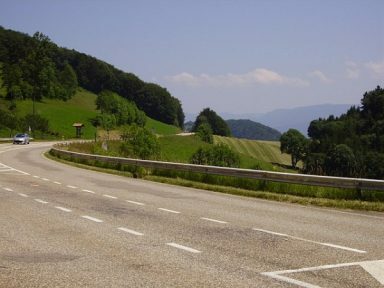 He worked out that his idea of riding the D430 and D431 was going to have to be shelved so thrashed his K1200 up the N83 dual carriageway to Colmar where he headed for the D417 to Geradmer over the Col de la Schlucht. Even with the holiday traffic this is a good road for a bike with a good surface and fairly predictable and well marked bends. The final bit into Gerardmer was shut for roadworks so Phil had to divert south a bit before reaching Gerardmer. 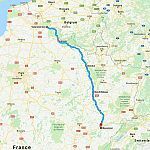 He then continued on the D417 to Epinal – a truly good road for his bike with wide sweeping bends and where he could catch up some time. 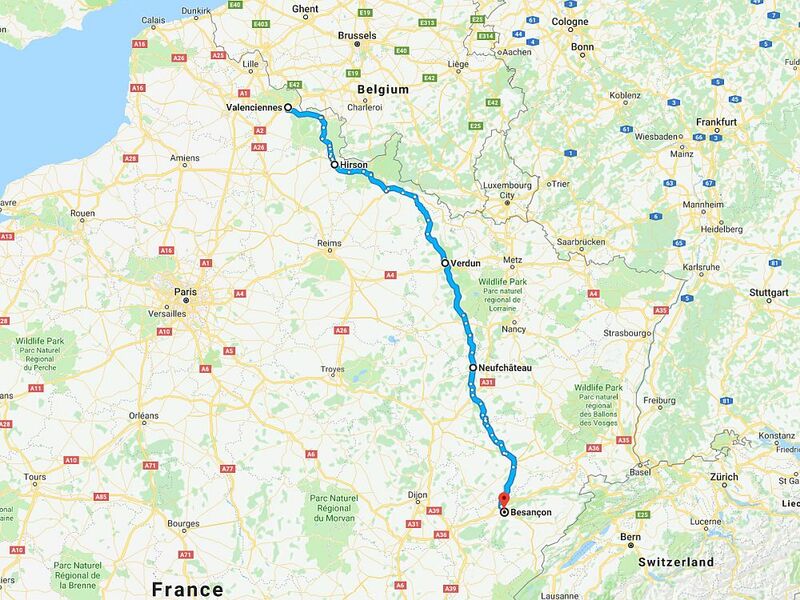 At Epinal he picked up the E23/N57 towards Nancy and from there headed for Toul and Heudicourt-sous-les-Cotes where we had all planned to meet up. 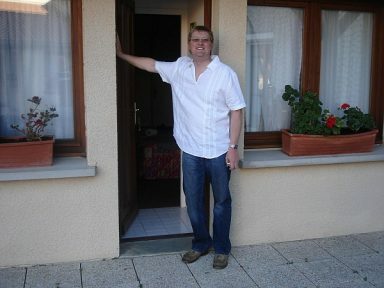 While Phil was enjoying scenic roads through beautiful countryside, the rest of us – Chris, Gaz, Taj and Kyle – finally got our tour off to a start and headed for Heudicourt-sous-les-Cotes with almost 500 miles of motorway and autoroute in front of us – 220 miles to Dover, a ferry crossing to Calais, and then another 270 miles the other side. Starting from Kyle’s house in the centre of Bewdley the first 150 miles of the tour were incident free, everyone making good time, until Taj unexpectedly left the M25 and joined the M23 heading for Brighton!?! At the last minute Gaz and Kyle followed like lemmings. Chris, who had no intention of getting off the M25, sailed straight past and on towards Dover . After a 20 mile detour normal service was resumed and shortly before 11am, just outside the ferry terminal, everyone was reunited. No harm done and the ferry was made with time to spare but clearly a single sat nav shared between all of us might be an issue when riding through France. The ride through France was pretty uneventful and fuel consumption varied wildly according to speed ridden. The ride was broken down into manageable 90 minute chunks and stops were timed for when fuel was needed. However at one point Kyle did manage to drain the 17 litre fuel tank of his SV in 45 minutes thus proving riding faster will not necessarily get you there any quicker. Matters weren’t helped much when Gaz saw Kyle pointing at his fuel tank – the universal sign for out of fuel – and took that to mean he wanted to race. Gaz promptly sped off, the others following, leaving Kyle to limp to the next fuel station. The result being the group became separated for the second time that day. 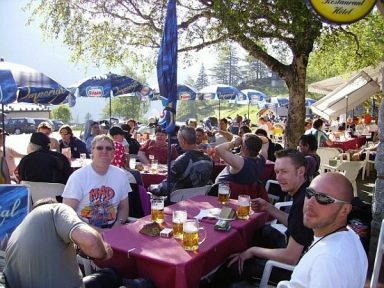 By the time everyone rolled into Heudicourt-sous-les-Cotes it was 6pm and we arrived to see Phil sitting in the bar, beer in hand. It had been a long and hot day in the saddle and everyone was pretty relieved to get to the hotel. Hotel du Lac de Madine comes recommended with a very good restaurant and reasonably inexpensive lodgings. The weather yesterday had been sweltering but today the forecast was for more of the same, and then some. Surprisingly we all felt quite sharp this morning despite all the beer and wine that was consumed last night and the time spent in the saddle yesterday. 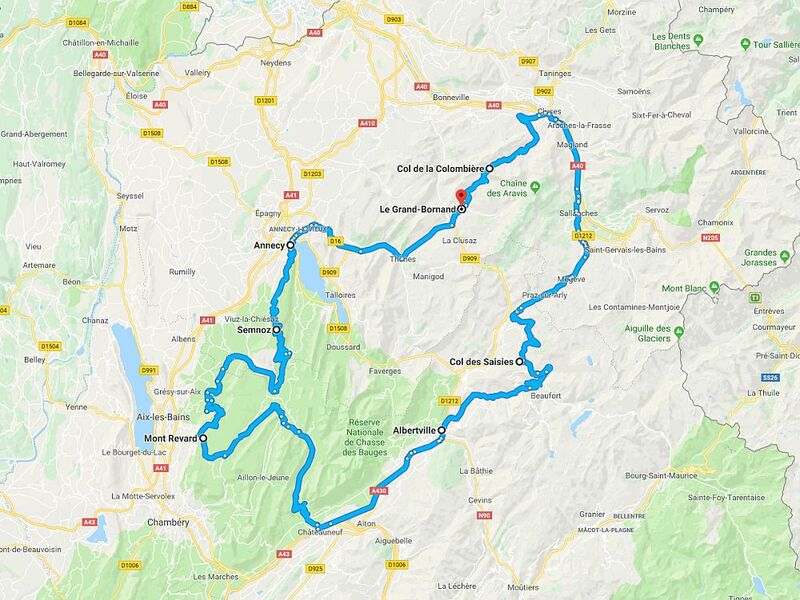 The plan today was simple, head to Chamonix by way of the route Phil had taken on his ride up from there yesterday. First order of the day was fuel. Being Sunday though nowhere was open, and all the unmanned pumps that we came across only accepted French bank cards. Fuel was a recurring problem for the SV throughout the trip and its fuel light had been on for almost 20 miles. The Fireblade was also getting desperate for fuel before a solution finally presented itself. We managed to catch a French motorist filling up at an unmanned pump and we offered him cash in exchange for him filling up our bikes too on his card. Result. Fully fuelled we left Heudicourt-sous-les-Cotes and headed south through Toul and Epinal. 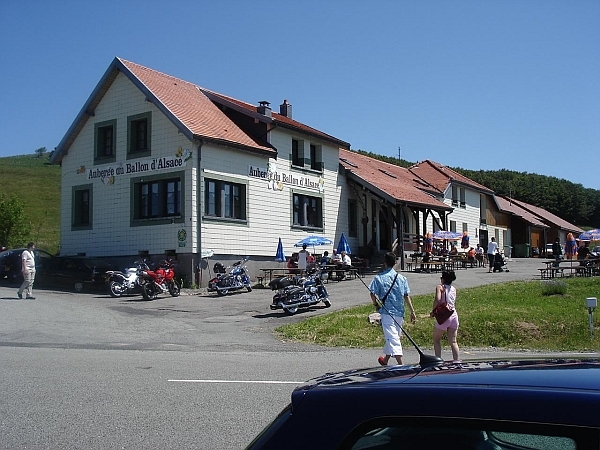 We stayed on the E23/N57 until past Remiremont where we picked up the N66 to Saint-Maurice-sur-Moselle. 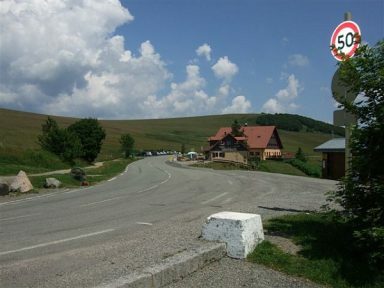 From there we turned onto the D465 which took us over the Col du Ballon d’Alsace. The road had the potential to be good but heavy overbanding on many of the corners meant that we had to take it very carefully around the hairpins. We all had the front or rear wheel slide on the ascent, sometimes both of them. Just out of Delemont we cut off through the Gorges de Pichoux just as Phil had done. Through the gorge we were reminded of the advantage of local knowledge when we saw a rider on an old K1100 Flying Brick by the side of the road. He followed us and quickly swept past all of us at a speed which seemed barely credible. 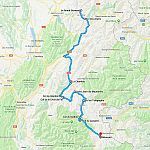 We then rode on to Biel and decided that we needed to pick the pace up if we were to get to Chamonix at a decent time, so we headed for Bern and the A12 past Fribourg and Montreux to Martigny where we headed up to the top of the Col de la Forclaz for a well deserved beer. 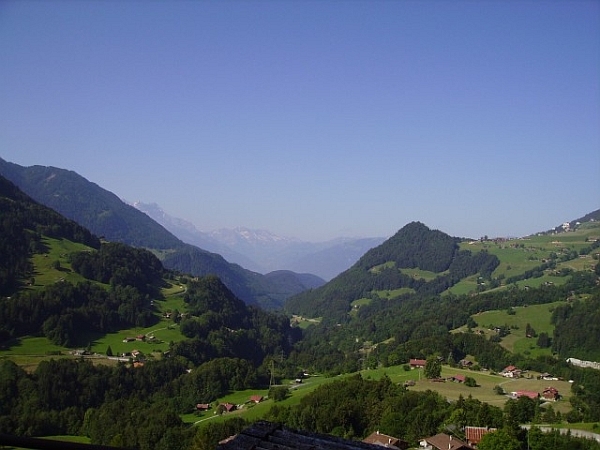 From the top of the Forclaz it’s only a short hop to the Swiss-French border. The border post is usually unmanned but take your passport regardless because you’re bound to get caught out the one time it is manned. 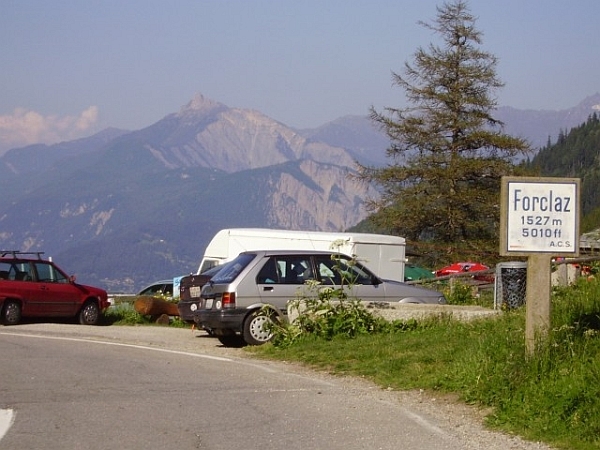 From the border the road twists its way down through Vallorcine and over the Col des Montets and into Argentiere. From there it was pretty much a straight run down the valley into Chamonix and we finally rolled up at the chalet at 5pm, hot and very clammy, and it had indeed been a very hot day.